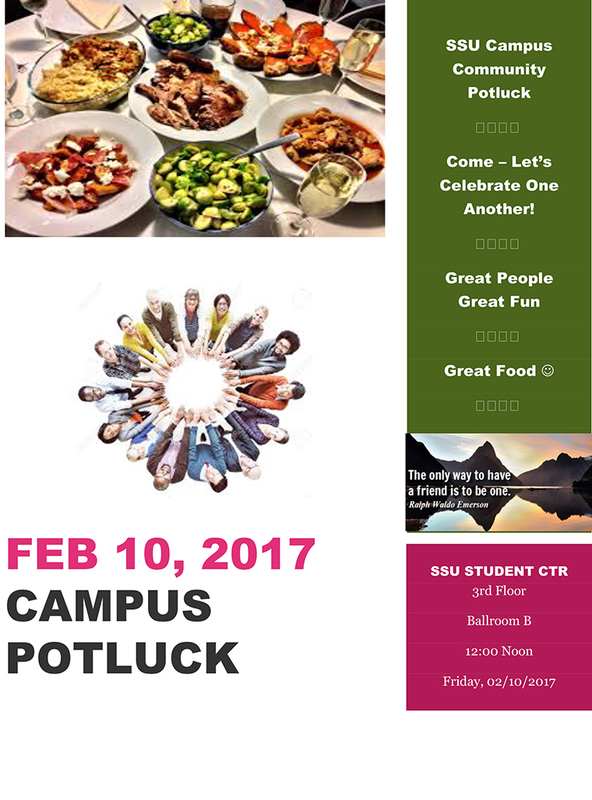 In celebration of National Friendship Week, Sonoma State is sponsoring a potluck on Feb. 10 at noon in Ballroom B to help our campus celebrate one another and make connections! All University employees are invited to participate and break bread with one another at this event. Please bring a dish to share and come one, come all! If you have any questions, please contact either Patty Couret at x4-2019 or Tammy Kenber at x4-4265.